BEIJING, China -- A leading international group has taken the giant panda off its endangered list thanks to decades of conservation efforts, but China's government discounted the move on Monday, saying it did not view the status of the country's beloved symbol as any less serious. The International Union for Conservation of Nature said in a report released Sunday that the panda is now classified as a "vulnerable" instead of "endangered" species, reflecting its growing numbers in the wild in southern China. It said the wild panda population jumped to 1,864 in 2014 from 1,596 in 2004, the result of work by Chinese agencies to enforce poaching bans and expand forest reserves. The report warned, however, that although better forest protection has helped increase panda numbers, climate change is predicted to eliminate more than 35 percent of its natural bamboo habitat in the next 80 years, potentially leading to another decline. In a statement to The Associated Press, China's State Forestry Administration said Monday that it disputed the classification change because pandas' natural habitats have been splintered by natural and human causes. The animals live in small, isolated groups of as few as 10 pandas that struggle to reproduce and face the risk of disappearing altogether, the agency said. "If we downgrade their conservation status, or neglect or relax our conservation work, the populations and habitats of giant pandas could still suffer irreversible loss and our achievements would be quickly lost," the forestry administration said. 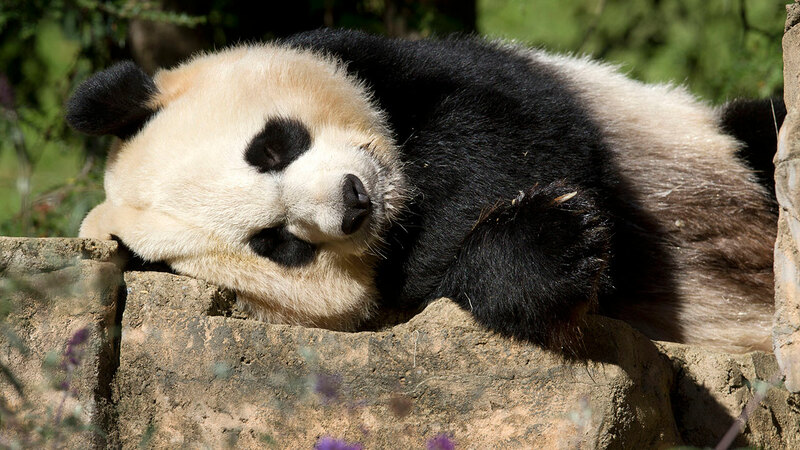 "Therefore, we're not being alarmist by continuing to emphasize the panda species' endangered status." Still, animal groups hailed the recovery of the bamboo-gobbling, black-and-white bear that has long been a symbol of China and the global conservation movement. The panda population reached an estimated low of less than 1,000 in the 1980s due to poaching and deforestation until Beijing threw its full weight behind preserving the animal, which has been sent to zoos around the world as a gesture of Chinese diplomatic goodwill. The Chinese government and the World Wildlife Fund first established the Wolong National Nature Reserve in Sichuan province in 1980. Wild panda numbers have slowly rebounded as China cracked down on the skin trade and gradually expanded its protected forest areas to now cover 1.4 million hectares (5,400 square miles). International groups and the Chinese government have worked to save wild pandas and breed them at enormous cost, attracting criticism that the money could be better spent saving other animals facing extinction. The IUCN drew attention on Sunday to the 70 percent decline in the eastern gorilla population over the past 20 years. But the WWF, whose logo has been a panda since 1961, celebrated the panda's re-classification, saying it proved that aggressive investment does pay off "when science, political will and engagement of local communities come together."